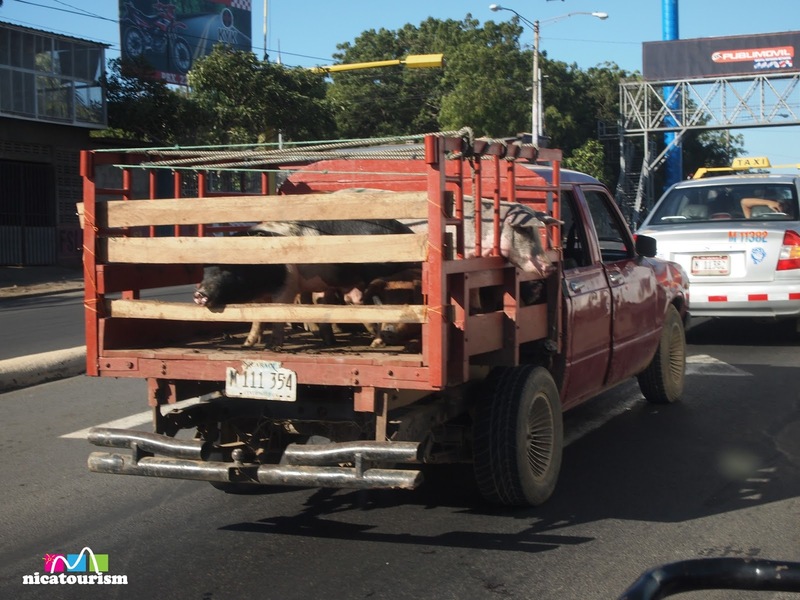 This little piggy went to market in Managua, Nicaragua. 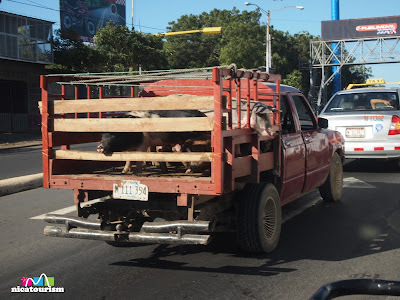 Actually, somebody probably purchased them and will slaughter them Friday or Saturday to make great pork like chicharrones, nacatamales, pepena, frito, etc. Good shtufff! "Managua, Nicaragua, what a wonderful spot. There's coffee and bananas and a temperature hot"